Big news, y’all!! I was chosen to be a Design Contributor on the I Heart Nap Time Creative Team this year! I first got to know Jamielyn from I Heart Nap Time when I designed a set of party printables for her daughter’s first birthday party, and later we teamed up to bring you a set of free printable baby shower games. It’s always so much fun to work with her, so I’m super excited to see what this year will bring, as I’ll be designing a new printable and sharing it on I Heart Nap Time every month! : ) First up – an adorable printable for Valentine’s Day! 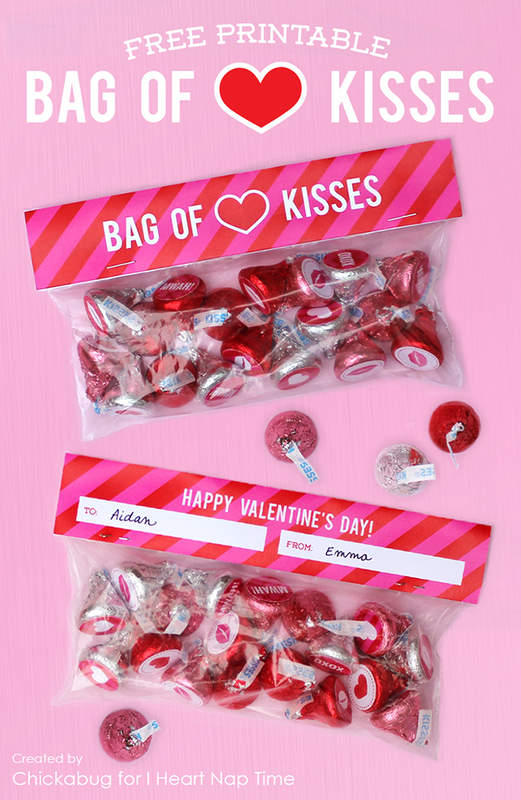 These “Bags of Kisses” are super-sweet gifts for everyone on your Valentine’s list. 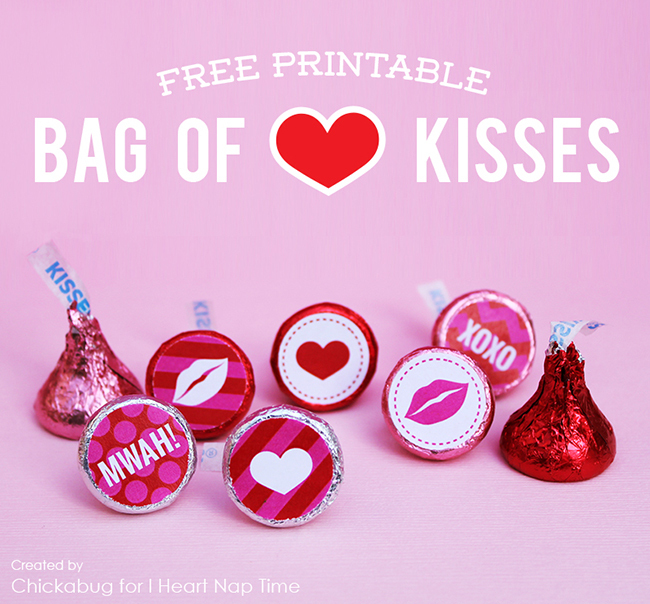 The printable treat labels say “Bag of Kisses” on the front and have space for writing a “To” and “From” on the back. To keep things nice ‘n easy, they fit standard size Ziploc baggies (including snack size)! 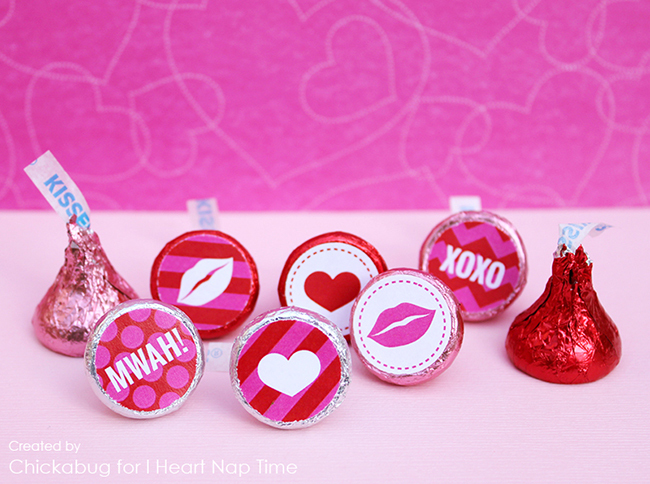 – The free printable “Bag of Kisses” labels and circles, which you can download at I Heart Nap Time. 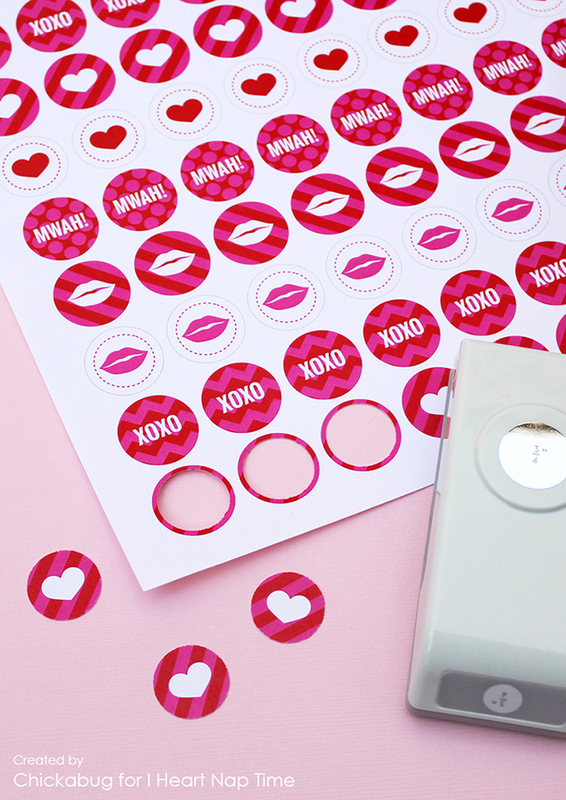 Shop for Valentine’s Day theme paper goods and printables here. Or, check out more Valentine’s Day ideas on Pinterest or here on my blog! Thank you so much! This is sooo wonderful and just what I need. Thank you! Having grand children I'm always trying to come up with cute ideas for holidays such as these for Valentines Day. Love your site and I will be back..